They will be feeling a warm glow when this charming holiday array arrives at their door! It's a wonderful way to send your best tidings for the season. 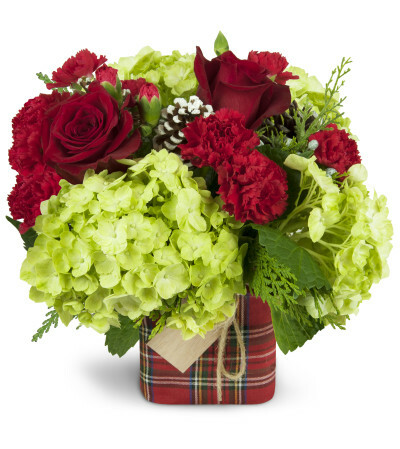 Red and green blooms are cheerfully arranged in a cube vase, complete with a festive plaid vase cover befitting the season! 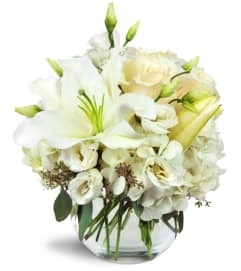 Everything with my order was seamless and the arrangement was fantastic! Thank you! Trina et al are the BEST! We were sent a picture from the recipient (a very pleased and excited recipient). The flowers, as usual, were BEAUTIFUL! FRESH AND VIBRANT! 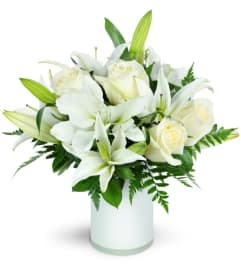 We only use Fellow's Fernlea to send flowers; we know that the utmost care will be given and this is where the best quality and service practice is the norm. 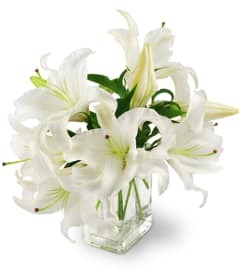 Fellows Fernlea Flowers is a Lovingly Florist in St. Thomas. Buying local matters. Discover how Lovingly supports local florists. Copyrighted images herein are used with permission by Fellows Fernlea Flowers.